Product prices and availability are accurate as of 2019-04-18 10:09:46 UTC and are subject to change. Any price and availability information displayed on http://www.amazon.com/ at the time of purchase will apply to the purchase of this product. Gerber 6 pack terry bootie socks help keep those little feet covered and warm all day and night. Designed to stay on babies feet with soft elastic and roll back cuffs. Made of a fabric blend for cozy softness and great fit. 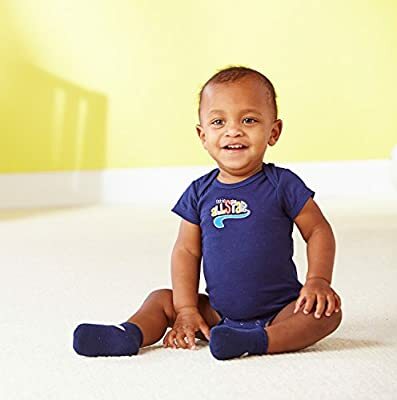 Coordinates with other Gerber layette items. Great item for gift giving.